I was sad to learn that 'Beast' was one of the 29 koalas euthanased during the last round of health checks of koalas at the Cape. Sad, but not really surprised. Beast was an old fellow of around 12 years of age. He was looking a bit the worse for wear at the end of the last breeding season but I had hoped he would survive to the next. He was a legendary animal; not necessarily the prettiest koala I've encountered but he had loads of character. He showed the most aggression out of all the males in our study of responses to bellows. He survived the population crash of 2013, finding ways into banded trees and constantly wandering in search of good food (and female koalas). The vets didn't think he would survive then because he was so old. He knew the drill when it came to being caught too. He grumbled but seemed to realise that resisting would only make the process longer. Beast always sat low in trees so he would have been a prime target for the catching crews looking to sample 10 koalas from that site. I was told that his condition was poor and that the vets did not give him more than a 10% chance of survival. I think they may have underestimated him! I was disappointed that nobody thought to tell me at the time, or save his carcass for me. I would have loved to take some samples and save his skull. I wonder how many of the other koalas euthanased were in poor condition due to age? 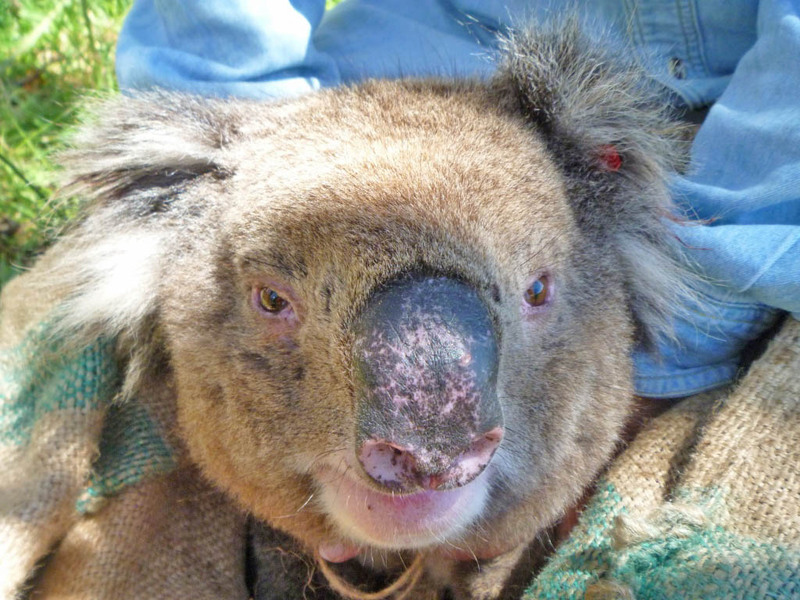 When DELWP reported 29% koalas euthanased, we immediately assume that it's due to poor habitat condition but is that really the case at the moment?